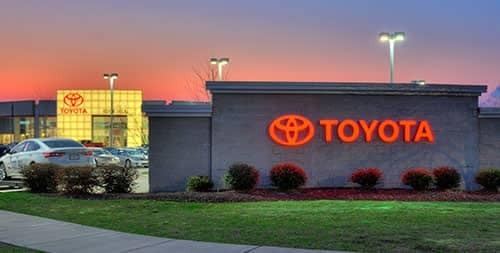 Whether you’re looking for a new Toyota car, truck or SUV, looking to schedule an appointment for Toyota service, or need help with a new car loan, stop by Toyota of Rock Hill today. We also have a large selection of Certified Pre-Owned vehicles including all the top Toyota models that are perfect for Charlotte, NC drivers. Toyota of Rock Hill is proud to be your local Toyota dealer serving both South Carolina and North Carolina! We’re also proud to provide all of our customers with our everyday low price backed by the Rock Solid Guarantee. If you haven’t done so already, take a look at our extensive inventory where you will find all of our most popular models, from the new Toyota Camry to innovative Toyota Prius — always at our best price. 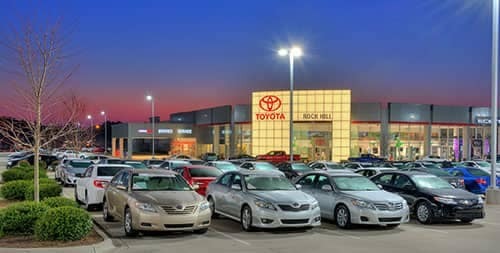 Plus, remember when you buy or lease from Toyota of Rock Hill you’ll also get the Rock Solid Guarantee included at no additional cost. It’s just another way we ensure you get a great deal not just on the lot, but over the life of your vehicle. Click here to learn more about our Rock Solid Guarantee. If you’ve already found the perfect Toyota at the perfect price, fill out the form to schedule a test drive! Prefer to give us a call? No problem, we’re always happy to help whether you choose to call, click or come by you’ll always get our everyday low price on every new Toyota in stock. We know that financing or leasing a car is always a big decision. At Toyota of Rock Hill, we make the process as straightforward and pain-free as possible. Our finance center can help you from beginning to end, and our team will explain everything with courtesy and professionalism so you feel comfortable every step of the way. Plus, if you’re concerned with your credit situation and not sure if you qualify for an auto loan, you can always fill out of pre-approval online! It’s a quick and easy process that will help you save time in the comfort of your own home. Prefer help in person? We’ll be more than happy to assist you! Schedule your appointment today and our finance team will help you learn more about your options so you can stay on budget when you get behind the wheel of a new, CPO or used vehicle that you’ll love! 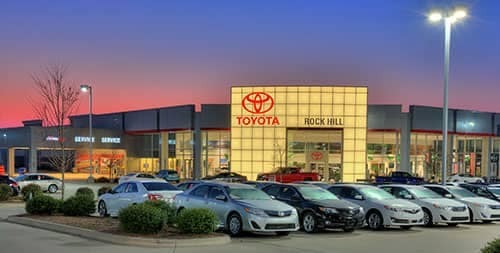 Visit Toyota of Rock Hill’s state-of-the-art service center today and you’ll find the latest equipment and a staff of expertly trained technicians ready to work on your Toyota. You’ll also find an extensive list of amenities from our business center to our family-friendly play area, all designed from your complete comfort. Rest assured that our maintenance and repair team can handle everything from a quick oil change on your Toyota to more complicated repairs. We also have flexible service and parts hours designed to fit your busy schedule. So now you can bring your new, used or Certified Pre-Owned Toyota in for maintenance and repairs seven days a week! Plus, we service all makes and models to save you even more time. That’s right, now you don’t have to drive all over town! You can bring all of your household vehicles into one convenient place knowing you’re getting expert attention and care at our best price. We also make scheduling your service appointment is quick and easy. You can fill out the form online, give us a call or simply stop by and let one of our staff members help you. While you’re here, you’ll also want to check out our service and parts specials online. We routinely update specials to help you save even more! If you’re looking for a great deal on a new Toyota near Charlotte, stop by Toyota of Rock Hill today! 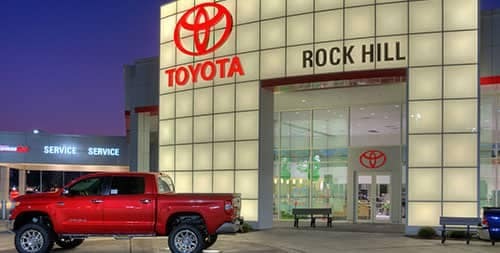 Remember, only Toyota of Rock Hill has the Rock Solid Guarantee on every Toyota in stock, a suite of benefits that’ll add value to your lease or purchase! So why go anywhere else? Get to your local Toyota dealer today! 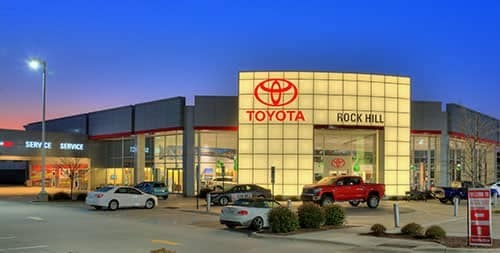 Toyota of Rock Hill, proudly serving drivers from Rock Hill, Fort Mill, Charlotte, and the surrounding areas.